Well, after much oomphing and ah-ring I've finally got my picture uploader to work. I've been using Firefox as my search engine but when I went to use 'upload a photo' on blogger it wouldn't come up, just an error message. 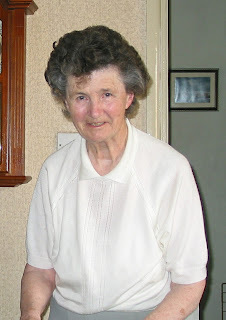 So having decided to blog again I was quite miffed to find it didn't work. I have a school blog too so am pleased/relieved to find that it works on Google Chrome. 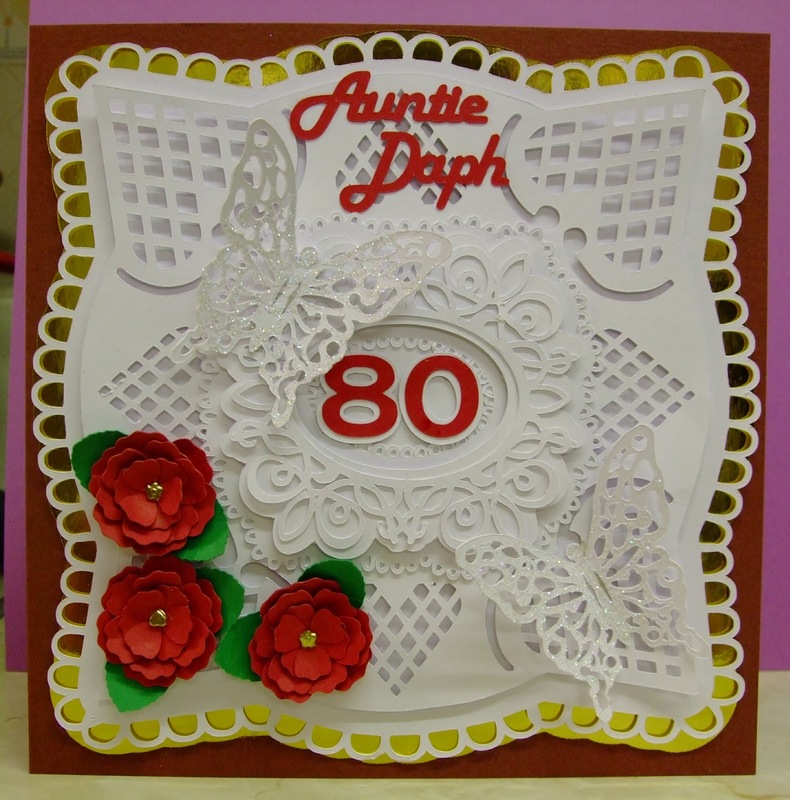 So my first card of the year is an 8 x 8 inch card for my Aunt's 80th Birthday next week. I cut everything out using the Cameo. I used Anna Marie's white stamping card but found that it left a lot of snags (probably being coated card) so if anyone knows anything better I would be grateful. I had the blade setting on 10 and the speed on 3 as it's very intricate but even then not all the cuts were clean. I like using a thickish card as it's more substantial. The roses are from the Silhouette Store and the heart layers, butterflies and middle frames are by Tina Fallon at CraftsUPrint. The sentiment is made from a font on my computer, that's why I love the Cameo, the freedom to design for yourself. I've raised all the layers on foam pads to add more dimension. The butterflies are glittered with diamond sparkle glitter (it doesn't really show on the photo).. I did think about entering this into a challenge but haven't decided yet which ones I will do this year, I think I'll aim for just a couple to begin with so that I'll be able to keep it up! We will see. Thanks for looking! I think it's about time to start blogging again, especially after my dismal attempts last year. Life has gone by since I was last here without any major changes, just another year older but probably not wiser. Here's a card I have made this weekend for my daughter who has moved out to live with her boyfriend! Cut the card blank on the Cricut using my Serenade cart, added layers, birds and the flower stem, all from the cart. Used my little flower punches for embellishments and created the sentiment and insert with Craft Artist. Happy New Year Bloggers! A little on the late side, sorry!!! Gosh, Hello Bloggers, I haven't been in this part of the cyberspace world since May last year! I had to post on my class blog yesterday which reminded me I have been seriously neglecting my own little blog. I think I may have said in May that I needed to visit more often so, as it's still January, I shall make a New Year resolution to do just that. There are so many projects that I've made and not uploaded that it will take too long to explain how they were all done! So.. what I will try and do is post them as photos over the next few weeks. Feel free to slap my wrists if they don't appear! Here's one or two to be going on with!! Two baby cards using my Cricut - simple 8x8 cards and a Birthday card using a digi image from Charmed Cards and Crafts. A 5x5 inch new baby boy card using LOTV image and sentiment stamps. The stripy paper is from DCWV and the blue gingham from a Papermania 6x6 pad. 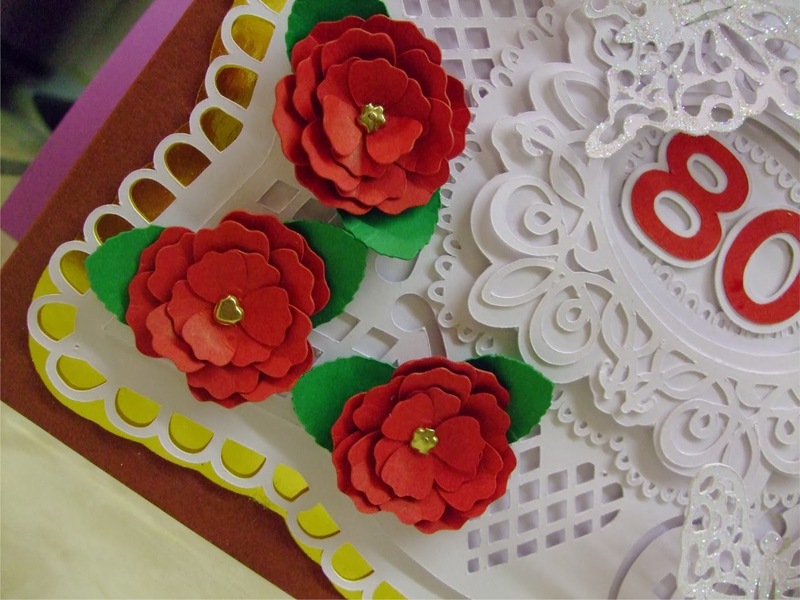 I used the little flower punches from QVC and a bit of blue ribbon. I edged the mats with a dotted pen line. The insert was made on the computer. Another new baby boy card but a different colour scheme, I fancied a change from pale blue! This one is a large 8x8 inch card. The train and sentiment were cut with my New Arrival Cricut cart and the background card is a glittered flower stock from Hunkydory. 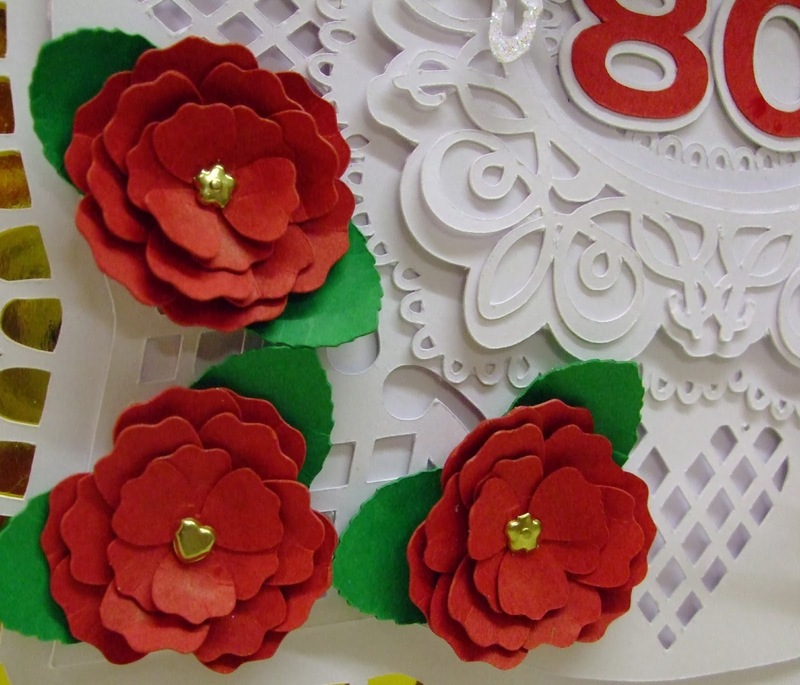 I added a few gems and glittered flowers from Wild Orchid Crafts. I didn't think this needed a lot of fuss! Sorry the descriptions are brief, time is short at the moment! Well, I promised to post so I'd better fulfill!! Hello all, am not liking this new blogger at all!! Have been messing with my template and header and have come up with this but I'm not too happy with the overall result. I'm going to leave it alone for a while as it was a little tricky! Anyway, I am still here and will definitely try and update my poor old blog soon. Off to the land of nod now!! A little Easter card using a challenge sketch from Sketch Saturday. 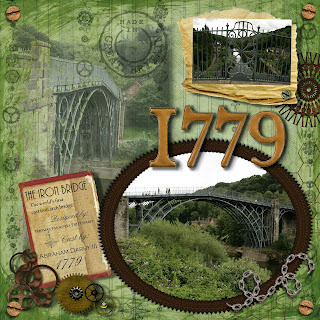 The image is a digi stamp from Designed2Delight digi stamps which, this time, I've watercoloured on watercolour card for a change. Dp is from a Papermania Easter pack and the eggs are on my Designers Calendar cart from Cricut. 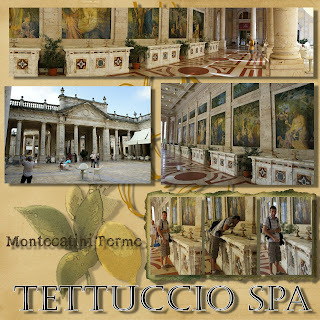 Tettuccio Spa is one of the many Spas in Montecatini Terme. These photos show the taps where the spa water is available to drink. Each tap had a different name. As you can see we decided to try a little of the water - you can tell by Harry's face it wasn't too good. At the back of this spa was the restroom area and there were at least 100 toilet cubicles in rows! We wondered about this and did some research when we got home and discovered that one of the properties and so called benefits of this water was that it acts as a cleanser to the digestive system - that is, it gives you 'tummy troubles!!!' lol, needless to say we didn't have any more! This is the card I made this week for a workfriend's birthday this Saturday, hope he's not looking! I used a KennyK download image which I coloured and decoupaged. I highlighted it with glossy accents. The dp is from my stash (had it years and not used it, I think it was from Dovecraft, computer sentiment and Cricut stars. Short and sweet as it's bedtime, sorry!!! Here are the two cards I made this week for two associates who both left work on Friday. They're large 8x8 cards so that all the staff could write a message. Both use a digi image from Bugaboo which I paper pieced and coloured with my usual pens! I used Spellbinders Labels 20 for the mounts, my Cricut for the embellishments and various flowers and gems from my stash. I haven't used flat flowers for ages, I love Wild Orchid Crafts flowers but they are such a devil to get in an envelope!! As you can see one recipient was blonde and the other dark brown with olive skin! I thought I'd be the Tiger Who Came to Tea from the book by Judith Kerr, complete with Tiger cakes, Daddy's beer and a large tin of Tiger Food just in case I was peckish!! 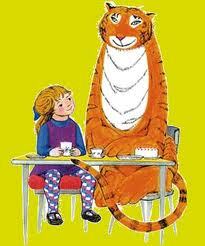 Judging by the photo I think this Tiger has been to one too many teas, don't you? Slimming World, here I come!! !